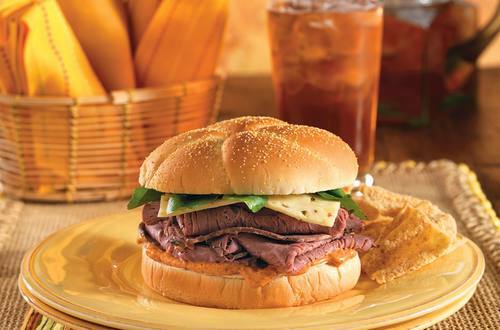 Add some extra flavor to your roast beef sandwich with this delicious recipe which adds chipotle mayo and pepper jack cheese to make a truly irresistible sandwich. 1 Combine Hellmann's® or Best Foods® Light Mayonnaise with chili pepper in small bowl; spread on bottom half of roll. Top with roast beef, cheese, watercress and top bun. Enjoy!